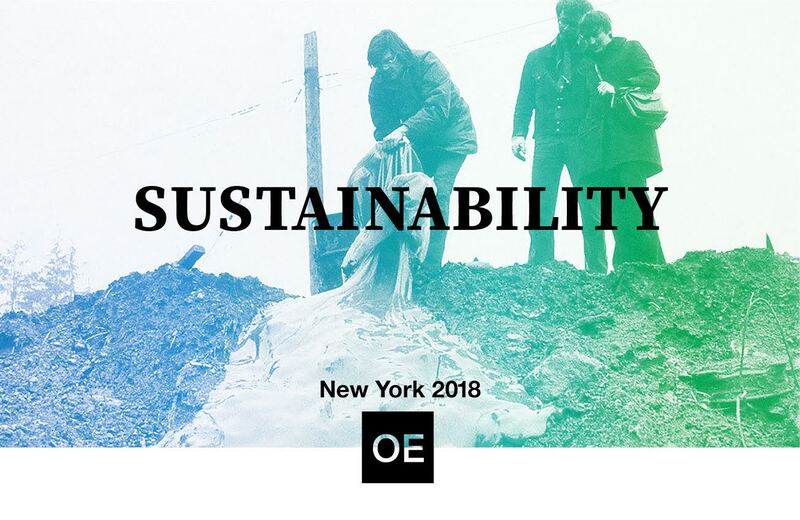 Open Engagement 2018 — SUSTAINABILITY will take place May 11–13, 2018 at the Queens Museum and a constellation of sites across New York City. This year’s conference will feature presenters including Lucy Lippard and Mel Chin. Now in its 10th year – the last in its current form – OE will bring together hundreds of artists, activists, educators, students, organizations, institutions, and thinkers from every corner of the globe. This year’s program will explore the theme of SUSTAINABILITY, as well as take stock of the field of socially engaged art. OE 2018 will feature a selection of focused trainings to provide attendees with tools for more impactful and sensitive creative work anchored in community-building and social justice, as well as opportunities for intimate discussion during our Dinner Conversation Series. In the evenings, femme-fronted, queer-inclusive nightlife organizers will host celebrations, guided by the belief that transformative acts of change are deeply indebted to these marginal spaces of collective joy. OE is working with partners spanning New York City’s five boroughs to represent the work being done at the intersection of art and activism across the city. Current partners include: A Blade of Grass, American Folk Art Museum, Bad at Sports, Bronx Museum of Art, Bureau of General Services—Queer Division, Community Access Art Collective, Eyebeam, Fourth Arts Block, Interference Archive, International Center of Photography, Knockdown Center, Lesbian Herstory Archives, Maker Park Radio, New York City Department of Cultural Affairs, New York Hall of Science, No Longer Empty, Recess, Social Justice Tours, Studio Museum in Harlem, Swale, Decolonize This Place, Discwoman, Sylvia Rivera Law Project, The 8th Floor, and Visual AIDS. Open Engagement has become a critical site of convening around socially engaged art. OE began as, and remains, a grassroots artist-led and artist-organized conference dedicated to creating a site of care for the field and supporting artists, activists, administrators, educators, and cultural workers who are engaged in transforming the world through creativity and radical imagination. OE is the only conference on this subject, of this scale, that operates on an inclusive open call model, supports emerging and established artists, and collaborates closely with national institutions to further the networks of support for socially engaged art. In anticipation of the conference, The Metropolitan Museum of Art will host pre-conference programming, beginning in the afternoon and stretching into the evening of Thursday, May 10th. This year OE will offer a sliding scale registration fee ranging starting at $75. We also encourage folks who cannot attend the conference (due to scheduling or other non-financial reasons) to consider making a donation of any size. Your contribution will enable us to subsidize the cost of attendance for current presenters and those in need. Open Engagement 2018 — SUSTAINABILITY is presented in partnership with The Queens Museum, and marks the final year of a three-year cycle that situated the conference in the Bay Area (2016 — POWER) in partnership with the Oakland Museum of California and the California College of the Arts, and in Chicago (2017 – JUSTICE) in partnership with The University of Illinois at Chicago’s School of Art and Art History. General Museum audience without registration badge will be able to see Open Platform presentations in our Main Atrium. These are 15 minute presentations of socially engaged art projects that run continually from 12:30-430pm both May 12 & 13. For updates and more information, follow OE on Twitter, Instagram, and Facebook.